Carmel Moore is a Certified Practicing Speech Pathologist and member of Speech Pathology Australia and the Australian Voice Association. Carmel graduated from Sydney University with distinction in 1985. She gained extensive experience in Aged Care and Rehabilitation as head of the Speech Pathology department at War Memorial Hospital in Waverley Sydney for 14 years. She relocated to the Northern Rivers in 2002 where she has worked in hospitals, community health, residential care as well as private practise. Carmel offers Speech Pathology (commonly known as speech therapy) for adults. She does however work with vocal difficulties in all age groups including children and adolescents. Carmel has a special interest in working with vocal difficulties/voice disorders. She commonly works with professional voice users (teachers, singers) and also with the aging voice. Many conditions can affect the voice and often simple vocal exercises can ‘reset’ voice production back towards normal, or increase the efficiency of the voice. Carmel has extensive experience in working with people with Stroke, Parkinson’s Disease, and diagnosis, treatment and support for people with Primary Progressive Aphasia (PPA). Carmel has a practical and holistic approach to improving communication, developing compensation strategies and supporting adjustment to communication difficulties. Carmel has undertaken a range of additional trainings including Voice Dialogue and Craniosacral Balancing and may draw on these modalities when beneficial for treatment. 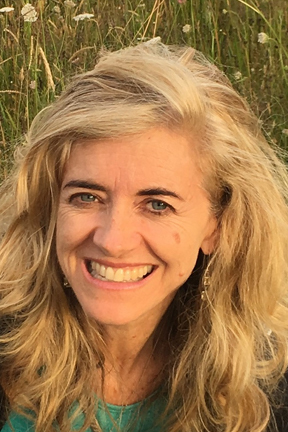 Carmel has also been a yoga instructor for 15 years and has presented in various forums in Australia and Internationally on the application of yoga as an adjunct to voice therapy. Reflections on clinical applications of yoga in voice therapy with MTD. Moore C. in Logoped Phoniatr Vocol. 2012 Dec;37(4):144-50. doi:10.3109/14015439.2012.731080. Carmel practises at Bangalow Consulting Centre on Monday afternoons. Carmel is also a Medicare provider and rebates of $50 for up to 5 sessions per calendar year, apply with an EPC (Extended Primary Care) Plan completed by a G.P. Carmel is also a DVA provider. A doctor’s referral is needed in most cases however self-referral is accepted for some conditions. Carmel prefers the pronunciation ‘Carmelle’ (which she uses for her non Speech Pathology modalities), so you may see her name written in this way sometimes.